Oman Air has named Sumith K.P. of Travel City as the first winner of its new incentive scheme for travel agents in Oman. Sumith was rewarded with a Mini Cooper in recognition of his excellent sales in the first quarter of 2017. The car was presented to him by Oman Air CEO Paul Gregorowitsch. 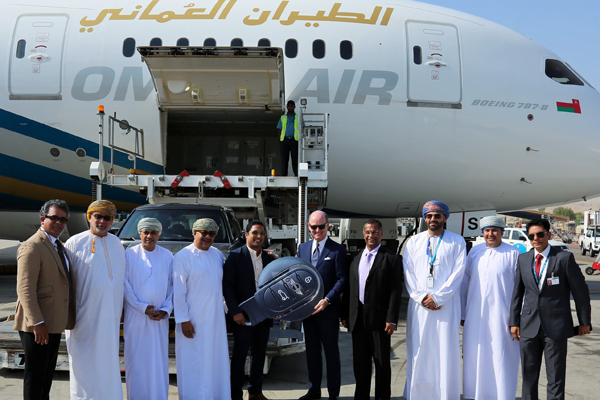 The new incentive scheme for Oman travel agents was set up to recognise individuals who have shown loyalty to Oman Air and successfully sold the airline’s award-winning product. The scheme will reward the best-selling travel agent for each quarter with the grand prize of a Mini Cooper, which comes in addition to the support that Oman Air already offers agencies for training and joint marketing. The new incentive scheme has been created to complement the existing loyalty and quality award scheme for travel agencies.